Grew up wtih CSKA Moscow (Russia) juniors. Made his debut with CSKA Moscow during the 2004-05 season. Loaned for the 2005-06 season to Lokomotiv Rostov. Back to CSKA Moscow on November '05. Signed for the remainder of the season by Unics Kazan. Signed for the 2008-09 season by Spartak St. Petersburg. 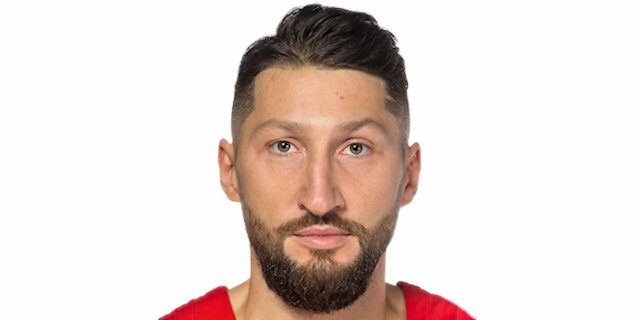 Signed for the 2009-10 season by CSKA Moscow. Signed for the 2012-13 season by Spartak St. Petersburg. Signed for the 2013-14 season by Unics Kazan. Signed for the 2014-15 season by Lokomotiv Kuban Krasnodar. Signed for the 2015-16 season by CSKA Moscow. Won the 2006 and 2016 EuroLeague with CSKA Moscow. Won the 2004-05, 2005-06, 2006-07, 2009-10, 2010-11 and 2011-12 Russian National Championship with CSKA Moscow. Won the 2005, 2006, 2007 and 2010 Russian National Cup with CSKA Moscow. Won the 2014 Russian Cup with Unics Kazan. Won the 2010, 2012, 2016, 2017 and 2018 VTB League with CSKA Moscow. Played the 2007 Russian All Star Game. Played the 2018 VTB League All Star Game. Has been member of the Russian U-18 and U-20 National Team. Played at the 2004 European U-18 Championship. Named to the All-European U-18 Championship First Team. Led the 2004 European U-18 Championship in scoring (21.1 ppg.). Won the gold medal at the 2005 European U-20 Championship. Has been member of the Russian University National Team. Played at the 2007 World University Games. Member of the Russian National Team. Played at the 2009, 2015 and 2017 European Championships.